The big game is about to start. 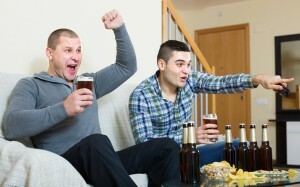 You kick back in your arm chair in front of your beloved big-screen TV, put your feet up and pop open a brewski. While you’re waiting for the teams to take the field, you find yourself contemplating one of the great mysteries of our age: Why is your beer not in a plastic bottle? It’s a reasonable question. Virtually everything else consumable these days — from ketchup to milk — has migrated from glass bottles into plastic. And why not? Plastic is generally lighter, cheaper to make and more durable than glass. You were sure glad for plastic when your kid dropped a full bottle of maple syrup on the floor at breakfast the other day! Wouldn’t having your beer stored in plastic bottles make toting it around a lot easier? How much cooler would tailgating be if the beer you brought weighed a lot less? Why, you could bring even more beer! As nifty as the idea of beer in plastic bottles seems, there are several reasons why you don’t see shelves stocked with plastic beer bottles — at least in the U.S. In Europe, it’s a common enough practice. The most important reason, though, is that beer bottled in glass simply tastes better, at least to most people. To understand why, consider this fundamental fact — both plastic and glass are actually liquids. Both have a very, very high viscosity, which is why they pretty much behave as solids. Glass, however, is a bit more viscous than plastic. This means it’s much better at containing whatever you put in it without releasing any of its component materials into what it’s holding. Obviously, anything that leaches into the beer will affect how it tastes. But wait, you say. Soda is bottled in plastic and it doesn’t taste funny. Why is that? Well, when you’re bottling beer or wine, as opposed to soda, you have to factor in the potentially corrosive effect of the alcohol. That regular Coke may make you burp like anything, but it could probably sit in a plastic bottle for decades without adversely affecting the bottle itself. Most soft drinks are packaged in bottles made from polyethylene terephthalate (PET), which is very good at retaining CO2 — the bubbles that make soda fizzy. However, it’s not nearly as good at keeping oxygen out, and everyone knows that exposure to oxygen makes beer go stale. So beer stored in regular PET bottles will likely go stale a lot faster. Bummer! But even if you were to bottle the beer in a thicker, specialty plastic, like one that sports a layer of polyvinyl between layers of the PET to reduce oxygen permeability, there’s another issue. Most PET bottles are clear, and in addition to being oxygen-averse, beer also doesn’t do well when exposed to light. It’s a lot easier to add dark color to glass than plastic, as everything you add to a polymer can affect how that polymer behaves in real-world applications. And still another consideration — most beer sold commercially in the U.S. goes through a pasteurization process after it’s bottled, but before it gets loaded on a truck and sent to your local store. The bottles go through a machine that douses them in boiling water and/or steam to kill any bacteria that might have made it through the brewing and packaging processes alive. Glass can easily withstand that heat. Plastic can’t. Finally, let’s circle back to taste. If you’re making beer that’s going to be consumed relatively quickly, it’s probably OK to store it in plastic for a little while. In the United Kingdom, you’ll see plastic beer bottles showing up at major events like sports games and festivals. You may even have seen it in the U.S. if you’ve ever attended a game in a stadium. In those situations, the beer gets used up fairly quickly, so there’s less chance of the plastic affecting the beer’s flavor. Glass, however, is 100 percent taste-neutral. It doesn’t impart any flavor to the liquids it contains, which is why you don’t drink wine from plastic cups (of course, we’ve all done it, but we drank quickly). So that’s why your beer is in glass, not plastic — one mystery of life solved! Now if you could only figure out if that referee really is blind, or if he just has it in for your team, life would be perfect, wouldn’t it? The beer must be filled aseptically, the bottles can’t withstand pasteurization. Wine has also been successfully packaged in PET with O2-scavenger protection. With both beer and wine, which can be “image products”, image is a problem for PET bottles. Thanks for sharing all that information and supplementing this article. Perhaps soon we will see more alcoholic beverages offered in plastic bottles as opposed to glass. Certainly as polymer technology & plastic technology continues to develop it will be more possible and practical. We appreciate the feedback–please keep in touch with us and continue to share. You always have something for everyone in ypur newsletters, and it is very well written. Keep it coming, and have a nice day! Thank you for such nice feedback–that is so great to hear! We love this stuff and it keeps us excited about sharing it. Thanks for reading our blog – we’re glad you enjoy it! Stay curious! Litigation Support: How Can We Help? 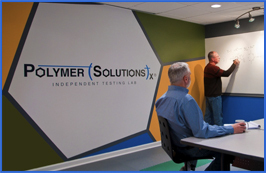 SGS Polymer Solutions Incorporated (PSI) is an independent laboratory and a strategic resource for chemical analysis, physical testing, research and development services, and litigation services.